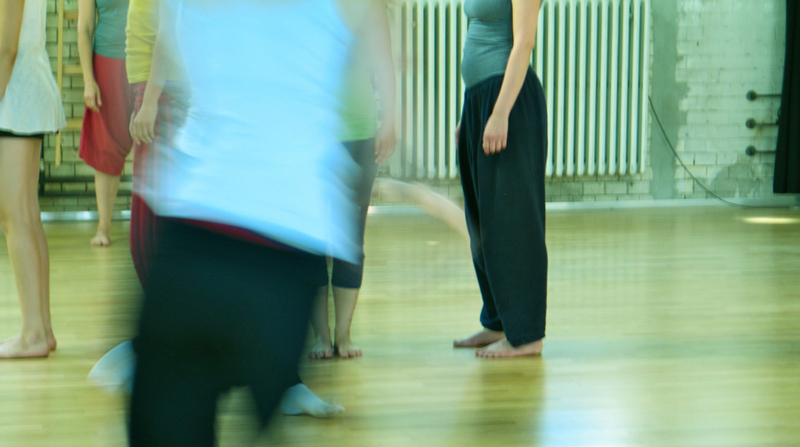 We are practicing free improvisation performance with movement, voice and language. Our basis is Action Theater: an improvisational physical theater training and performance method created by Ruth Zaporah. We are exploring the basic conditions of the body and the sensory apparatus as a starting point for the encounters with the group body, the space and with the unknown. We are looking for poetry and musicality and embracing an experimental spirit. Join us on Thursday nights – newcomers are welcome! Sessions are led by Jagna Anderson in English and German.